Becoming a student is about a lot of things- drinking, exams, studying, clubs, and drinking. But more than any of these things (even drinking) becoming a student is about personal freedom, moving away from your parents and family and starting an adult life, on your own or with friends, in a crumbling hellhole of your very own. Consulting your university’s Student Living organisation will very often be the first step, but in case their properties fail to grab your attention, are too expensive, or sell out too fast- it happens, trust me it happens- there are sites which can provide a handy compendium of all you need to know, with articles, links and housing lists for anyone looking for student living. Winning the award for ‘most obvious website when looking for student accommodation’, this site nevertheless lives up to its prominent URL, featuring almost everything a student looking for housing could need. 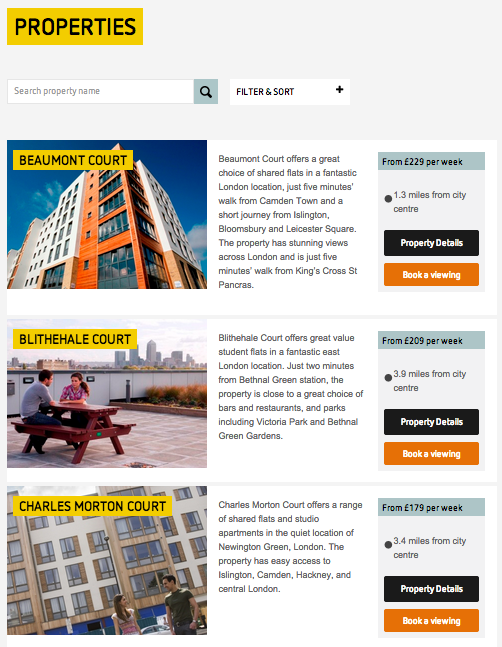 Its database lists properties by city, number of beds, price or type, and students can choose between owned houses and flats or private halls. With housing in every major university city in the U.K., Accommodation for Students offers a huge range of houses and flat-shares, as well as helping students find rooms let out by others, and selling rooms in a house already owned. 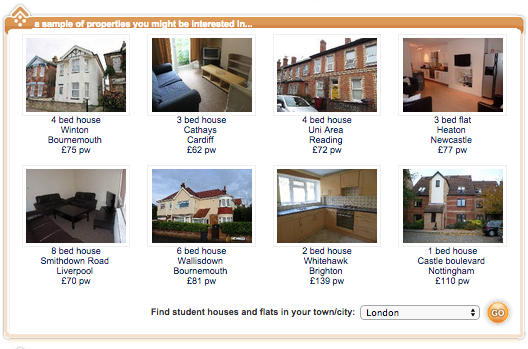 Students looking for housemates can chat to other posters, allowing many the easiest way to find a house-share. In addition to all of this, the website has a number of student guides on everything to do with accommodation, and their blog is an interesting, if a little irrelevant, guide to student life around the country. 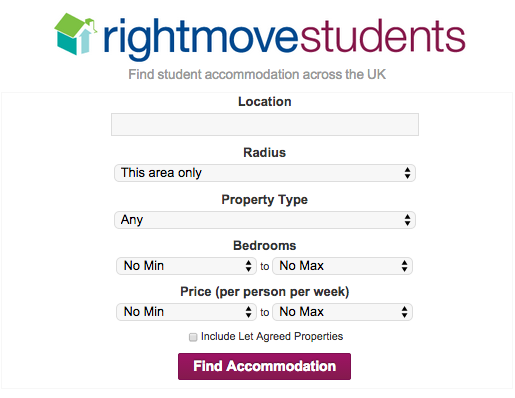 Right Move Student is another student accommodation website with thousands of houses, in areas right across the U.K. Their houses, which can be categorised by price, place, and number of beds, are relatively cheap, all stored on the Right Move website to avoid switching from website to website. You can also choose to let them send you new houses that match your preferences via email, in case you really, really like getting new emails. While the site does have articles, they’re not as extensive as Accommodation for Students’, though there is a comprehensive student guide to renting which details everything students need to know, from choosing who to live with to viewing properties intelligently. Cheap, numerous housing, across the whole of the U.K. Allegedly the U.K.’s ‘leading developer and manager of student accommodation’ (though I’m pretty sure they all say something like that), Unite Students doesn’t actually cater to every university; however, those cities that they do serve have access to custom-built accommodation just for students, which are more safe, reliable and maintained than many privately-owned residences. 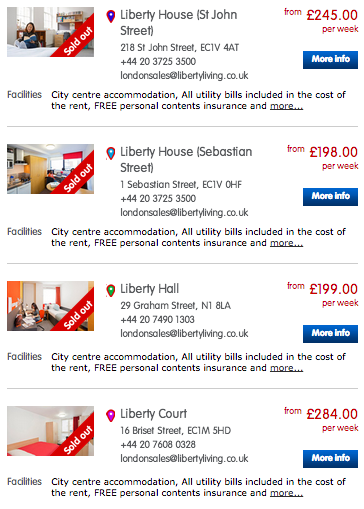 With 24-hour security, common rooms, car parks, and free WiFi, these are definitely around the higher end of student living- and the price tag shows it, with most of the buildings clocking in at over £100 per person per week, and those in London coming in at roughly £200 a week. But hey, free WiFi. 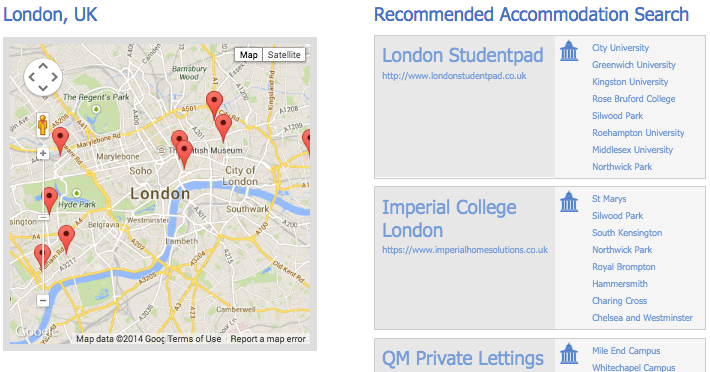 Though this is another website which does not cater to all universities, Studentpad nevertheless has a great search engine giving a large number of links to other housing sites around the country, most of which are local to the area in question; as such, students can discover cheaper housing around universities and deal directly with the owners, allowing for greater freedom and flexibility when picking a house. The site also has a number of articles on picking houses and the safety risks of housing (including a surprising amount about carbon monoxide- never stop thinking about carbon monoxide, ever), though these are few in number and not hugely comprehensive, and a relevant blog which gives good, peer-written advice on what to do with your new home. Another website with a selective number of universities, Liberty Living nevertheless has a lot going for it- similarly to Unite Students, this accommodation website gives security and no hidden costs in its rooms, as well as green ideals (students are basically hippies, this should appeal) and excellent incentives for loyal students, such as hundreds in cash when a student re-books with them, or supermarket vouchers when students book as a group. They also give summer accommodation for those too far away to go home in the holidays. There are also a couple of useful links, to such things as broadband sites and Dispute Services, but few articles or tips for students directly. 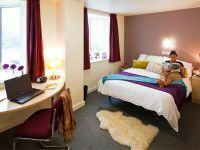 Accommodation is something students must carefully consider, sort through and think about. Choose housemates carefully: even couples can fall out when sharing a room for a year, which can make your last few weeks tricky when you still have to share a bed. Other problems arise too, like: When is the electric shock you get from every light switch too much? Is it best to just give up the bathroom to the nest of woodlice under the toilet, and let it be reclaimed by the wild? These problems- and more- require an independence and initiative that many students have never seen before; but with the right flatmates, house, and website guidance, this independence will be found, and retained forever. You may also want to check out the Top 10 ways to make money online.